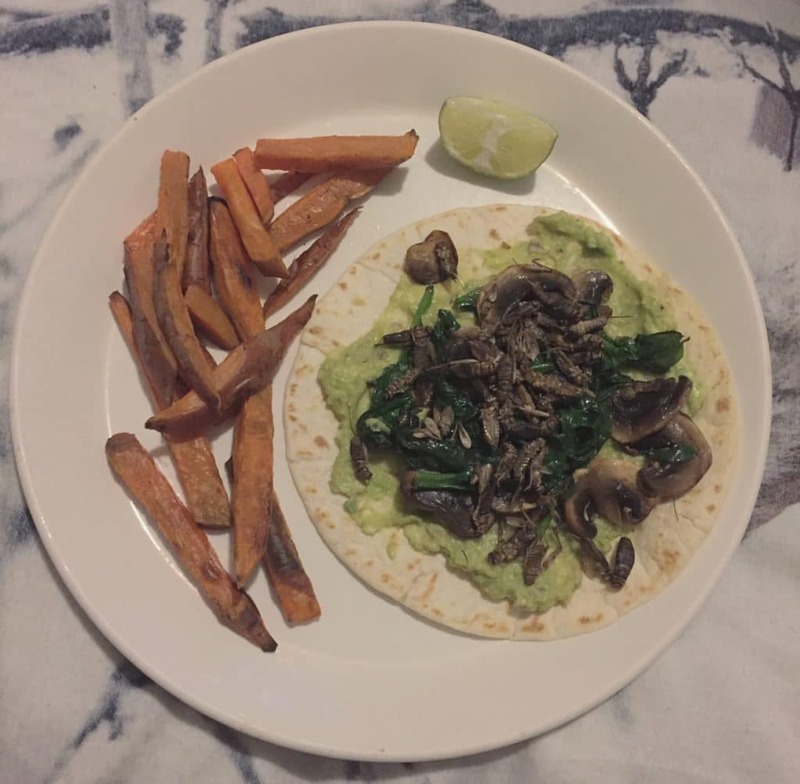 Believe it or not, this delicious meal was created by a vegetarian. 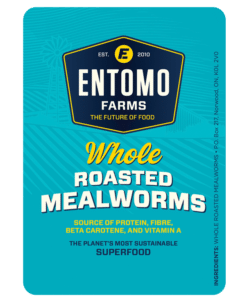 I had the pleasure of ‘meeting’ Entomo Farms customer, Laurie, who had taken advantage of our 20% off promotion for World Edible Insect Day that was on October 23. Her story is such an interesting one, and she explained why she embraces entomophagy so beautifully that I feel compelled to share it with all of you. If you are interested in trying her Avocado Cricket Toast (pictured here) check out the recipe here. 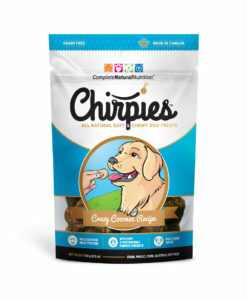 “I’m a vegetarian, but I do think eating insects is a very good compromise for the environment. We cannot ignore the fact that we have to feed over 7.6 billion people, a number that won’t cease to grow. 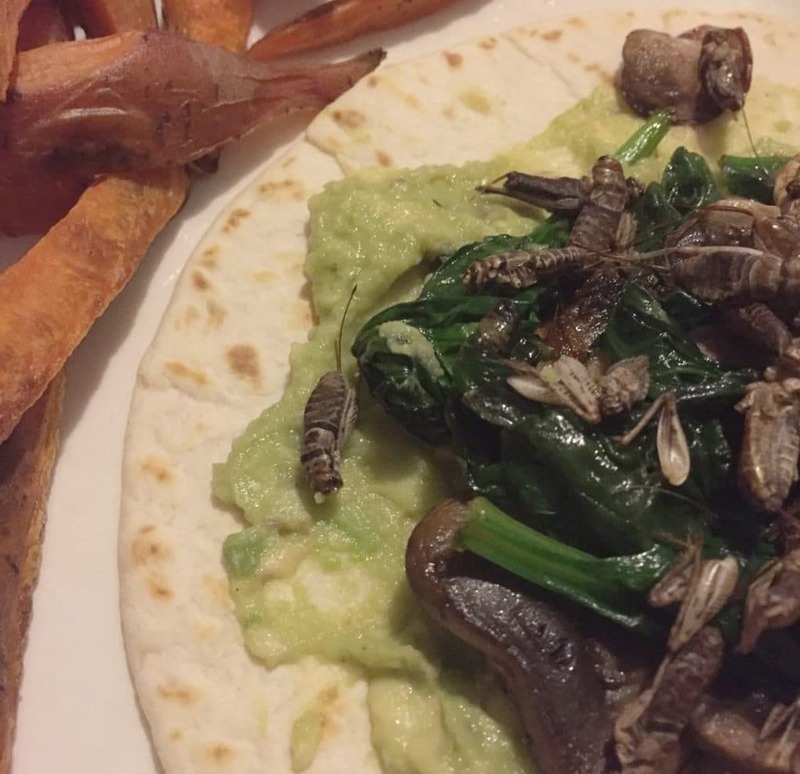 Insects provide many essential nutrients (Protein, iron, vitamin B12 and many others) on very little resources compared to the meat industry. While I dream of a world like Star Trek where everyone is eating vegetarian (probably even vegan? ), I do believe that it is more realistic to rely partially on animal-based products if we are to feed billions. Especially considering how poorly we are managing cultivated fields. For instance, I used to be afraid of spiders, but I soon came to realize it was a social construct. I was afraid of spiders because I only saw people being afraid of spiders before. When I thought about it rationally, I realized there was nothing to be afraid of, and ever since, I have no trouble catching the little guys and letting them go outside instead of squishing them. 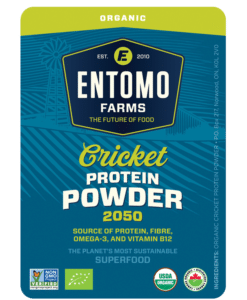 This entry was posted in Blog and tagged cook with crickets, cricket flour, cricket powder, eat bugs, eat clean, eat crickets, eat healthy, eat insects, edible bugs, edible insects, Entomophagy, future of food, healthy eating, Healthy snacks, keto, paleo, whole food.